Tomorrow night my son leaves his Scout troop to move up to Explorers. 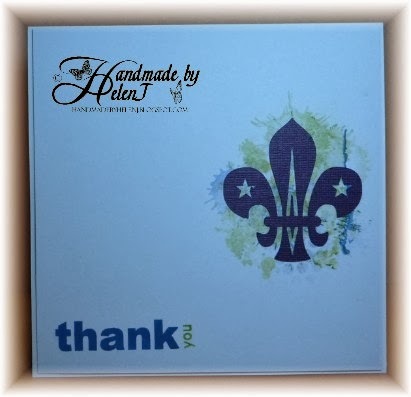 He's had a fantastic time over the last few years, not least because his troop have a brilliant team of leaders who give up a huge amount of their free time & energy for the children. They've helped make him the young man he now is, so it seemed fitting to make a card to say "thank you". 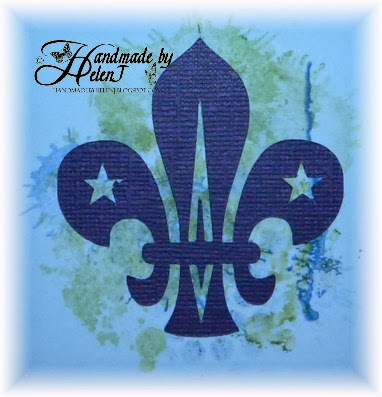 I cut the Scout logo out on my Craft Robo Lite in the normal Scout purple colour, and his Scout troop's colours are green & blue which is why the colours are a bit more clashing than I would normally choose! I'm entering this into this week's challenge at Seize the Sketch. Great masculine card! Thanks for joining us at seize the sketch! this is an awesome card!!!! Thanks for joining us on Seize the Sketch! !